When you are pregnant there are so many things to think about! You want to give your baby the best start in life, so you often have many decisions to make about everything. One of those important decisions is how to feed your new baby. With each of my own pregnancies, I like to plan how I am going to make sure my baby stays well-fed. From the time they are born to the time we begin introducing solids, I know exactly how I want to feed my baby. 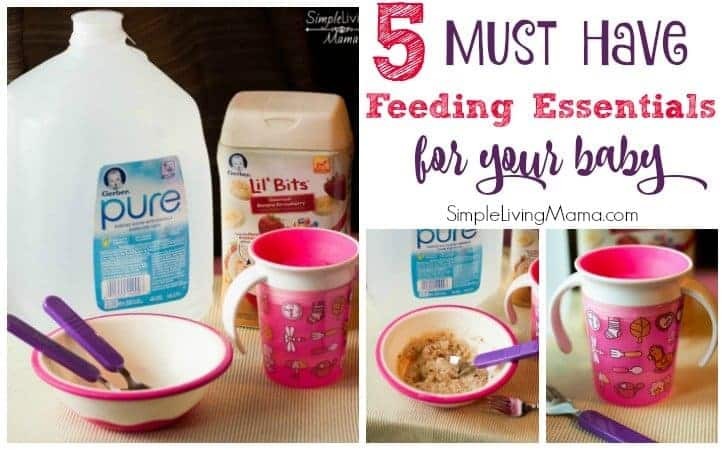 I’ve put together my top 5 must-have feeding essentials for baby. These are items that will come in handy both when your baby is a newborn to when your baby starts solids! I want to first talk a little bit about water. 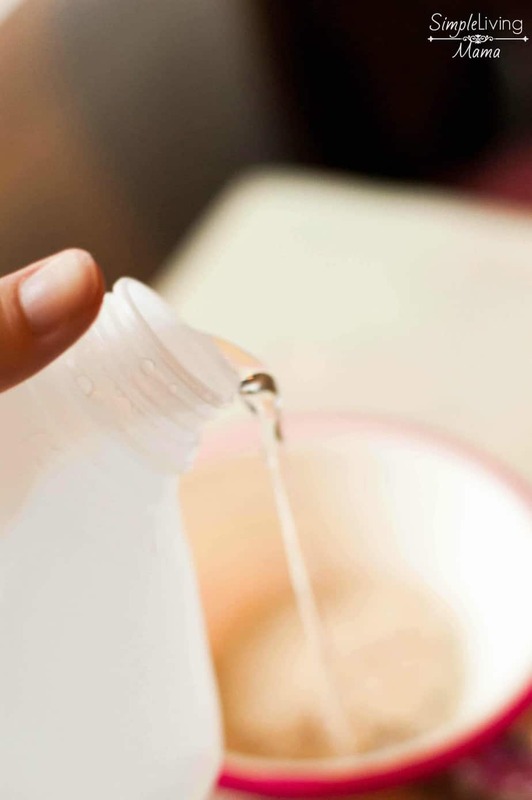 I do start breastfeeding my babies, but have had to switch to formula with a couple of them. I like to keep Gerber® Pure® Water on hand for formula and baby cereal. I choose Gerber® Pure® Water because it is pure and simple. It has been specially purified just for babies. 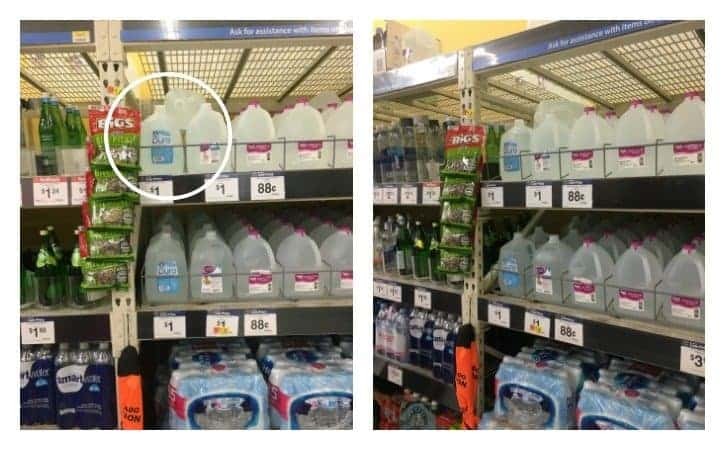 I found my Gerber® Pure® Water in the bottled water section at Walmart. You can learn more about Gerber and Gerber® Pure® here. Once your baby starts solids, you may want to start with a cereal. We start around six months old and I always choose Gerber oatmeal. 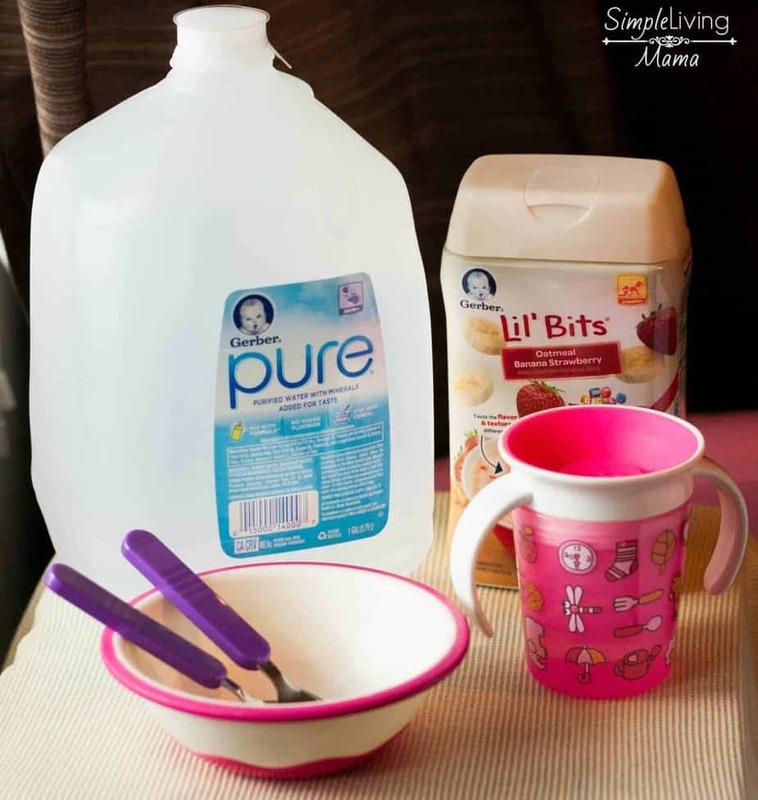 Gerber® Pure® Water is great for mixing with infant cereal, too! 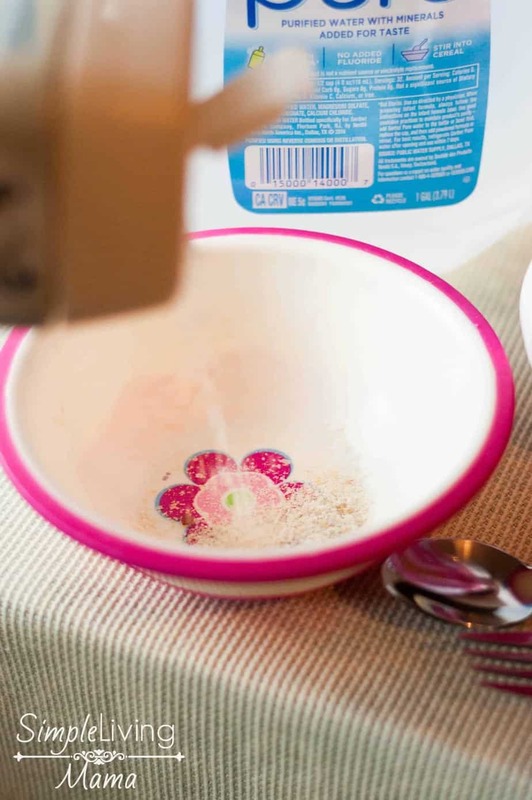 I like to buy special bowls for my babies when they are starting solids, so I pick something pretty that cannot be easily broken. 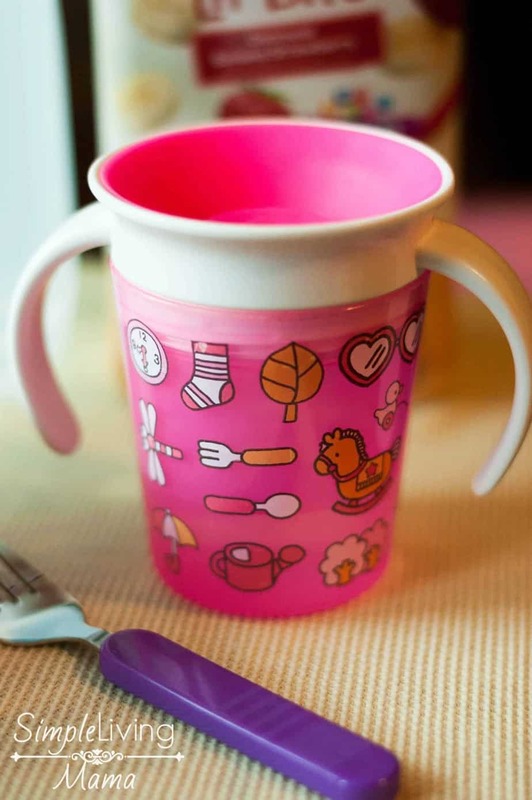 Of course, your new eater will need a fork/spoon and a cup to drink from. These 360 degree cups are pretty cool and spill-proof. Around nine months old I move my babies on to silverware that looks more like the real thing and less like a piece of plastic. Great suggestions! Our youngest daughter is now just over two and mealtime is her most favorite thing! 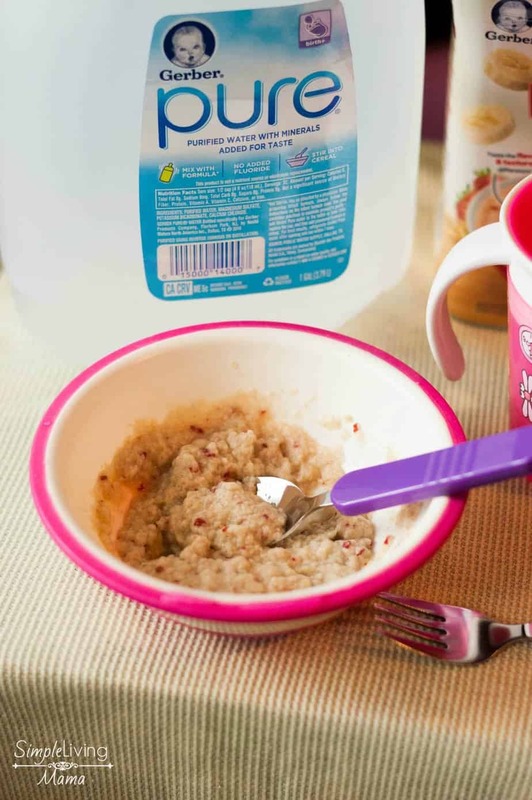 Thanks for sharing your feeding essentials for your little one! 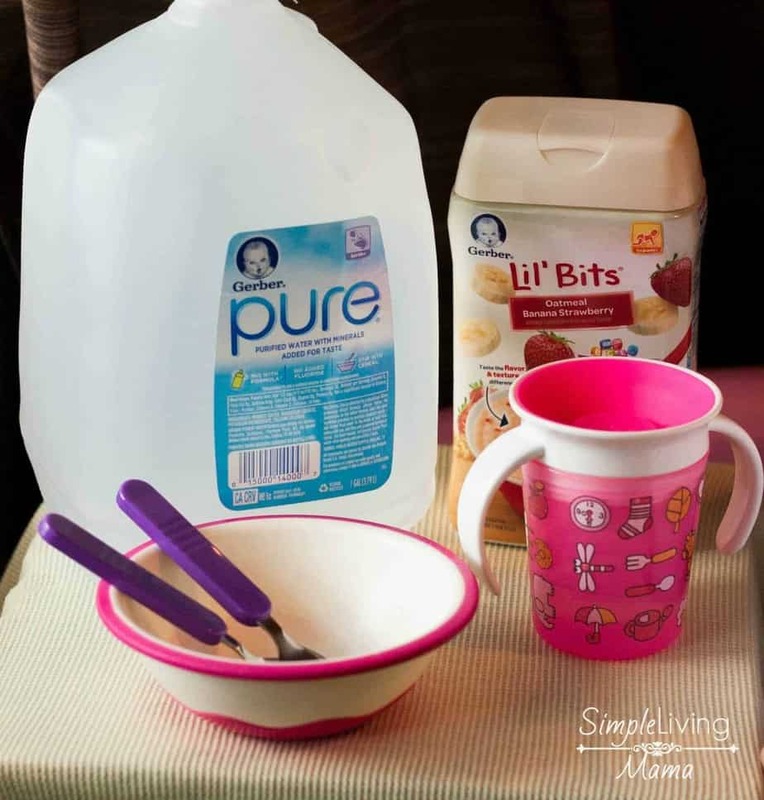 I hadn’t heard of Gerber Pure prior to reading this post, and now I’m dying to get to the store for some for my kiddos. I love how you highlighted how versatile it is to have on hand, it definitely seems worth keeping in stock at my house! Couldn’t agree more. Sippy cup and baby utensils really come in handy for my daughter when she turned 2.